Following the victory of the army of Lützelhard over the Dautenstein invaders at Walddorf, Grand Duke Adolphus abandoned his initial plan to directly capture our capital. Instead, the fighting shifted to the south and west, into the Schwarzpulver Tal. Here in that broad, shallow valley the two sides manoeuvred for weeks, seeking an opportunity to destroy the other, or to cut it off from its magazines and supplies. With the prospect of a drawn-out war, Defence Minister von Rumsfeldt ordered a general levy of able-bodied men. 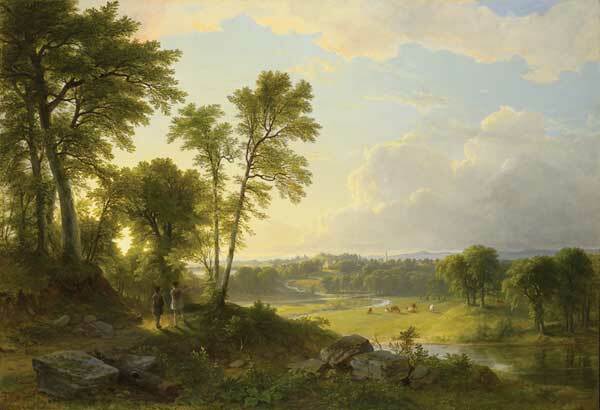 Middle-aged nobles and townsmen of stature, their heads filled with dangerous nonsense about the glory of war, bought themselves senior commissions despite their lack of formal training or battlefield experience. Not a little of these funds, I suspected, found their way into the private pockets of von Rumsfeldt himself, and other corrupt politicians and functionaries of his ilk. I deployed the troops in a position I believed to be most favourable. My left flank was anchored by a river. Brigadegeneral von Blünder—the ambitious husband of the daughter of a minor noble who, less than a week earlier, had been a braumeister in the capital (“Blünder’s Fine Ales”)—was ordered to seize and hold a low hill that overlooked the bridge. It was a simple enough task. Diestetige and von Zuverlässig would take their brigades and deploy in a line anchored on the right by a copse of woods, which would be held by the redoubtable Dunkelwald Jägers. Draufgängerisch, who had been with me since he was a junior officer and in whom I had complete faith, would take almost all the cavalry on the right. My plan was simple. Our initial posture would be largely a defensive one. I hoped to lure the enemy into making a costly and futile assault on my strong position. The cavalry brigade would then attack from the south, as Diestetige and von Zuverlässig advanced their brigades to counterattack the weakened enemy. The enemy’s force seemed similar in strength to mine. 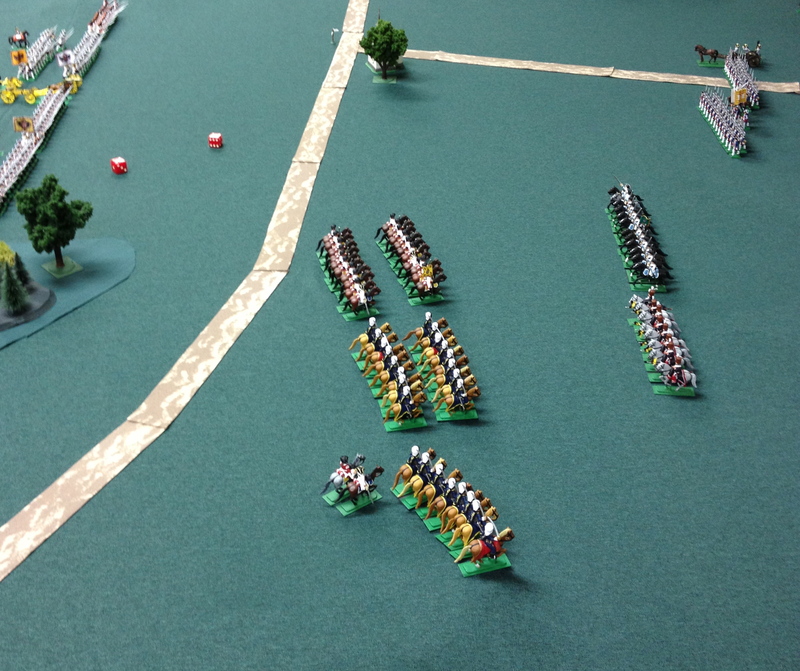 His cavalry was more evenly split between flanks, but with the bulk of his heavier forces to my left. The centre of the army formed up as ordered, although the Jägers were uncharacteristically tardy in moving into their assigned position. On my right, Draufgängerisch showed his usual élan, advancing his troops quickly toward the enemy. 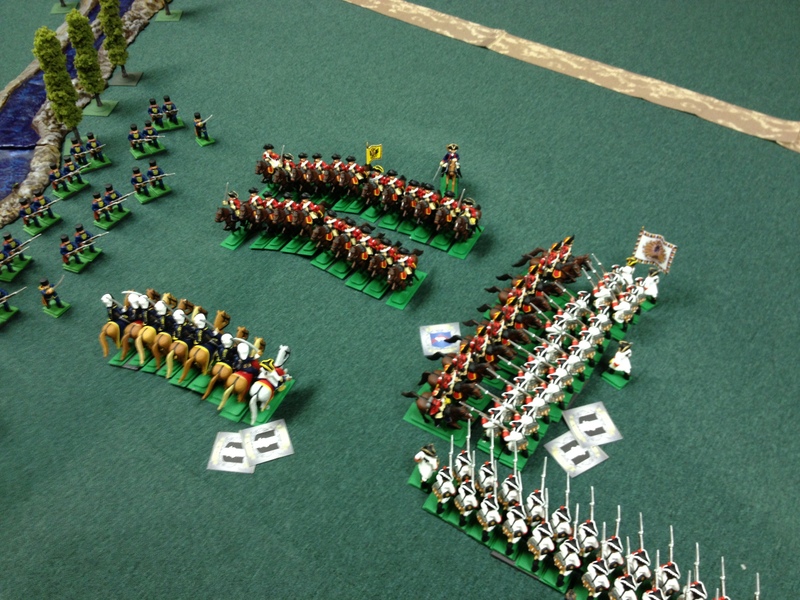 The Heavy Dragoons and Hussars charged home at the first opportunity. Despite being outnumbered, the enemy cavalry fought hard—but eventually withdrew from the battlefield. Such was the intensity of the clash, however, that two squadrons of our own horse were also forced to retire. On the left, however, von Blünder handled his simple assignment with all the martial prowess of one who knew more about hops than bayonets, failing to deploy his infantry quickly into a line. 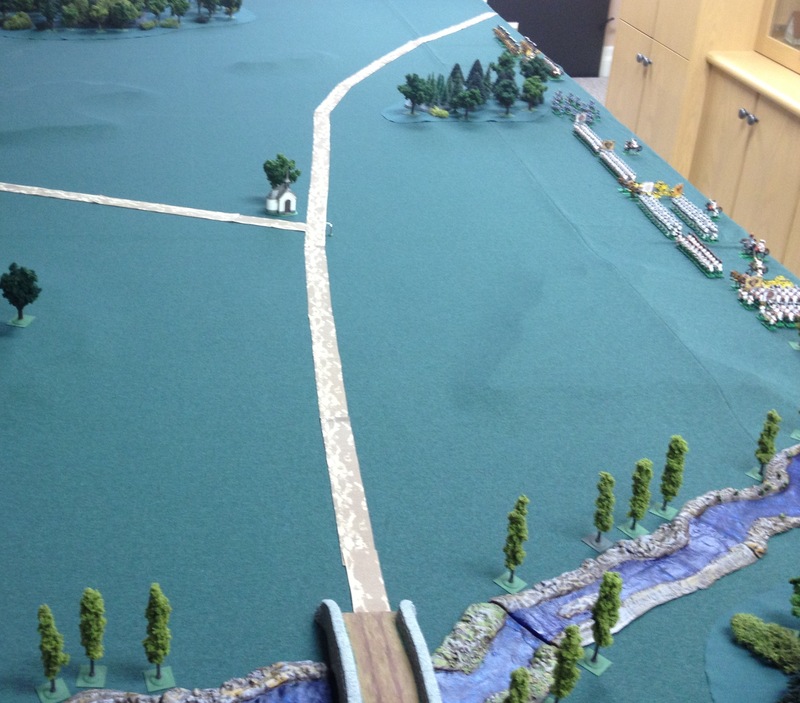 Instead, the lead battalion advanced up the hill and towards the approaching enemy horse in a column of march. Gott im Himmel, the fool! I was fortunate indeed at this point that the two Dautenstein brigades opposite my centre were in some confusion themselves, and advancing only slowly and intermittently. I could almost hear my opposite number, General Alan von Scheunen, cursing at his own subordinates for their inefficiencies. The formidable Dautenstein army commander expected discipline and clockwork precision from his soldiers, and was known to swear like an angry trooper when they delivered anything less. The enemy charged home. 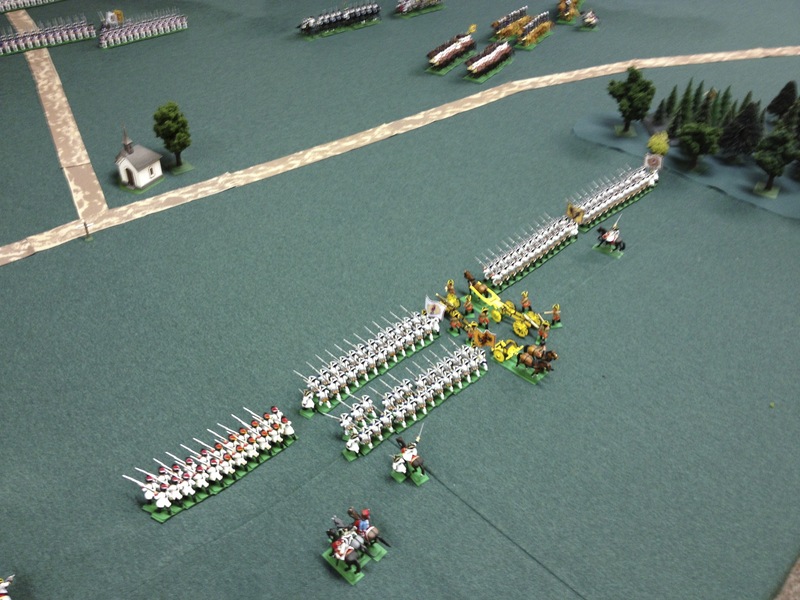 The lead battalion of von Blünder’s brigade was caught in the open, and charged in the flanks. The men fought hard, but no amount of individual bravery could atone for the idiocy of their officers. The battalion was destroyed. So too were the single squadron of Hussars that had been assigned to von Blünder’s brigade. A third battalion of the brigade retired as a gaping hole appeared on my left flank. 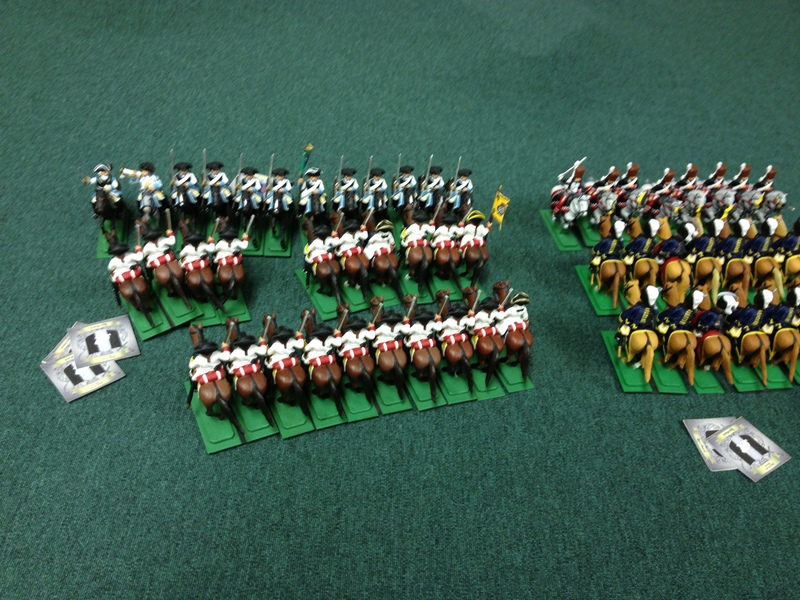 Dautenstein light infantry advanced in support of their cavalry, sniping at our positions. My cunning and artful plans had been reduced to ruin by the incompetence of a single brigade commander. Taking personal command of a reserve infantry battalion of Diestetige’s brigade, I force-marched it to the left to reform the line. I thought for a while that I might need the Jägers too, but in the end they spent much of the battle milling about in confusion, unsure as to whether to fulfill their original orders or shift to reinforce our left if need be. As the Dautenstein cavalry reformed to prepare another attack, our gunners pounded it with artillery and howitzer fire, eventually forcing one enemy squadron to retire under the weight of hot iron. Unfortunately, the enemy gunners were at work too. Throughout the battle their fire had concentrated on the Grenadiere des Südens. To my surprise and alarm, they began to falter and fall back in the most unseemly disarray. I turned angrily to my aide-de -camp: Diese sind nicht Grenadiere sind diese verängstigten Kinder! In a valiant but characteristically impetuous move to stabilize the situation, Draufgängerisch sent the remaining Heavy Dragoons from his cavalry brigade on a sweeping move across the front on the enemy’s battle line, in an effort to catch the few guns and infantry who had strayed out of position. The enemy hurriedly dressed his line, but their fire against our horse was surprisingly ineffectual, despite the advantage of enfilade. I suspect the laggardly Dautenstein infantry were awed by the Dragoons’ impressive display of bravery. However, at this point our position was deteriorating, and I thought it best to withdraw while the army was still intact. I had the order sounded to retire from the field. The battle had been lost. A most excellent AAR! 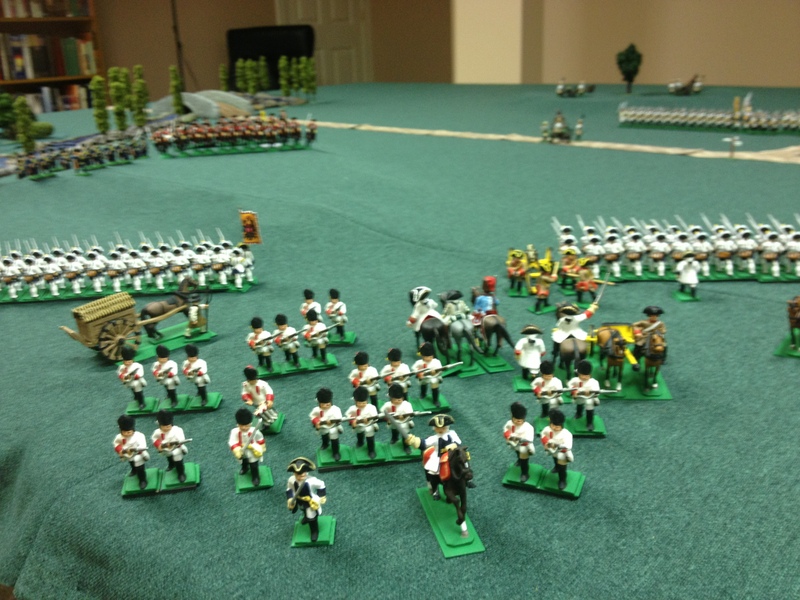 Are you using Minifig 25 mm castings for your troops? They’re not my troops–but yes, most of them are.